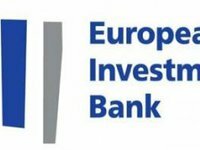 The European Investment Bank (EIB) is ready to join the projects aimed at assisting the Azov Sea area in Ukraine, Head of the EIB Resident Representation for Ukraine Jean-Erik de Zagon has said at a meeting with Deputy Prime Minister of Ukraine for European and Euro-Atlantic Integration Ivanna Klympush-Tsintsadze, according to a posting on the government's website. De Zagon gave his vision of the situation in the Azov area and a possibility of implementing some investment projects there. As a member of the EU Mission for the Azov Sea area, the EIB was able to see the needs of the region, in particular, the roads connecting Mariupol, Zaporizhia, Berdiansk and Mykolaiv, needing major repairs, and therefore, there is something to work on, the head of the EIB Resident Representation said. According to the deputy prime minister, the assessment of the EU expert mission in the Azov Sea area, which has recently completed its work in the area, will provide grounds for the active involvement of the EIB in helping the area. Russian aggression in the Black Sea has extremely negative consequences for the regional economy, Klympush-Tsintsadze said. She said that she is convinced that the implementation of infrastructure projects can significantly enhance the stability of the region. She said that the goal for today is to enhance community security and social cohesion, to support the economic recovery of those affected by the conflict in Donbas. Therefore, the support of the European Union and the EIB in this context would be very helpful. In addition to the prospects for the development and the launch of projects aimed at helping the Azov Sea area, the parties also discussed projects that are still being implemented in Ukraine, as well as the possibility of implementing the initiative on humanitarian patronage by the EU in certain areas of Donetsk and Luhansk regions.